It has been a while. A lot has happened since our last newsletter. We had just taken possession of Mays School, and as you may know, it was not in the condition that it was all the way up to just 6 days before we closed. While the locksmith was changing the locks, the CPS engineer and I walked through the building. That’s when we noticed the carnage. I immediately notified the CPS attorney who handled the closing which had just concluded minutes before. As it turns out, we had no idea what we were walking into. The damage that was visible was bad enough, but it was the damage that was not visible that made our repair estimates not worth the paper they were written on. We are going to present CPS with a demand letter for reparations along with a video of our initial walk-thru and a video of the damage. We have no guarantee where that is going to lead. We have placed this reality in GOD’S hands and have forged ahead in prayer and in submission to HIS will. As of today, the target date for most of the ministries to start moving in to the building is November 1, 2018 . Damage behind the walls. Click to see more images of damage. 1.5″ copper pipe supplying the hot water from the boiler to the blowers in each classroom, plus the 1.5″ copper that was taken from within the plumbing walls that services the 27 toilets, 9 urinals, 19 lavatories and 1 shower throughout the building. Besides stealing the copper that supplies the water to the bathrooms, they also damaged the automatic flushing systems which will have to be replaced along with the toilets they service. Then there are the electrical cables that we knew had been tampered with, but we had no idea of the extent of the theft. Our initial assessment after tracing the route (with electrical contractors) and measuring the cable we knew was missing, led us to estimate about 3,000-4,000 linear feet. After the electricians placed a measuring string in each of the empty conduits, the missing cable amounted to 8,000-9,000 linear feet. We estimated the cost of theft initially between $35,000 and $50,000 and by God’s grace after the theft took place, a new donor became part of the Shepherd’s HOPE team and made a donation that was like a breath of fresh air in an Oklahoma dust storm. Although after the dust cleared, the LORD revealed the rest of the damage, as to say, “this whole journey that we are on together is predicated on your relationship and total trust in ME and ME alone”. The devil’s minions that perpetrated this theft, had no idea that the cost to replace the stolen material and repair their damages would be $85,000 – $100,000. These people worked 6 days and 6 nights to complete this theft, some of it very hard work, for which they acquired about $2,000 to subsidize their drug habits. The devil knows that if these men are given a real job, their drug use would be minimal or a thing of the past. The reality of this is that the devil would have a much harder time getting them to agree to steal from their neighbors and disrupt the LORD’s work in the community. That’s why the devil loves poverty. We at Shepherd’s HOPE love our LORD and Savior JESUS CHRIST and trust HIM to bring us through this so HE can be glorified. That’s why HE put the Shepherd’s HOPE team together – the Board, Staff, Volunteers, Donors and Ministry Partners – so the LORD can live in and through each and every one of us to make THE CENTER of Englewood a reality. Through the children’s ministry, the teen ministry, the daycare, the vocational training, the feeding center, the pantry, the church services, the Bible studies, and the free medical clinic, JESUS will show the people of this Englewood community that HE loves them and that HE is here for them. HE wants to be their friend by changing the face and character of this community, by living in and through its people. 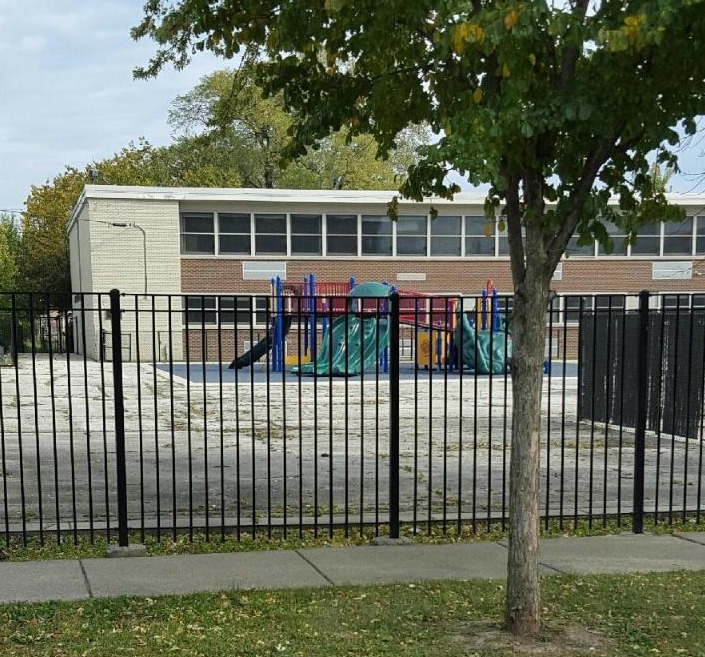 projects that needed to be completed to make THE CENTER of Englewood operational. To complete the repairs that were due to the break-in and to complete the projects that we knew existed when we bid on the school, we will need the LORD’s help in the amount of $70,000. The major part of these monies will be used to refurbish and start up the boiler, blower and ventilation systems. The cost for this will be about $35,000, which we had budgeted and set aside, but had to use for the break-in damages because we need electricity and water to operate these systems. We trust the LORD totally and know that HE will provide the resources we need! Click here to see the projects we knew we had to deal with from Day One and our progress to date. It’s the $100,000 cost from the break-in damages that we were not prepared for, but we know the LORD is. We will wait patiently to see who HE will use to make the CENTER of Englewood a reality. Shepherd’s HOPE team, we need your help! We need you to share your gifts, talents, time and resources, the blessings the LORD has given you to bring everything to fruition by November 1, 2018. It can be accomplished, but only if we all work together as a team for HIS glory and HIS glory alone. Please pray on it and let the LORD direct your path! I can’t wait to see who HE uses for HIS glory. Remember, it is all in the LORD’s hands, but it is in that place of humiliation that we find our true worth to GOD – that is where our true faithfulness is revealed, and HE is glorified! We have been put in that place of humiliation and we have stayed totally focused on HIM and in turn remain completely faithful to HIS will. AMEN! I love you all and hope to see you soon. Donate online using our secure website. Options to select the area to receive your gift or to honor a loved one.